The Da Vinci Series 707 Short Pointed brush is made from Kazan Blue Squirrel hair with an extra long tip. It has a short imitation-cedar handle and is finished with a silver-colour ferrule. 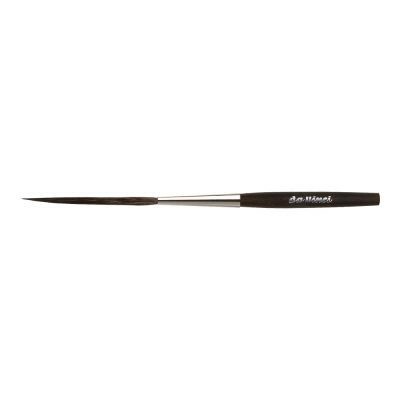 The long profile of this brush makes it an excellent choice for any artist looking to paint extra long strokes or decorative linework and allows for marks to be created in one stroke without stopping. The brush also comes to a fine point which is great for adding in detail.